In my job as a technology reviewer, I evaluate a lot of products that are easy to sum up on their face value. Smartphones, laptops, tablets, wireless speakers, etc. all work (or don’t work) generally the same way for everyone, making evaluation of them a mostly objective thing. But cameras are different. Cameras are certainly pieces of technology, but they are primarily tools used to create art, and one artist might prefer a particular camera over another, even if the latter has better performance on a spec sheet. Such is the case with the new Leica M10. In fact, it’s largely been the case for every digital Leica M ever made: these German-made cameras never lead the industry in technological prowess, nor do they take better pictures of charts and graphs than other contemporary cameras. Hell, they don’t even have autofocus. And to top it all off, Leica’s M cameras have exorbitant price tags — the M10 body alone will run you $6,500, add a lens to the mix and you’re easily over $10,000. So how do you evaluate such a product? Comparing the new M10 to other cameras with 35mm “full frame” sensors, such as Canon’s 5D Mark IV or Nikon’s D810 is largely futile, since those cameras will undoubtedly “perform” better and cost much less. So perhaps it’s best to judge the M10 at how good of being a Leica it is. As it turns out, this is the most Leica-like digital camera ever made. It starts with the design: the M10 is slimmer than its predecessors, making it the same dimensions as the film versions of the M. It has fewer buttons on the outside, but the ones that are there are designed in a way that you can set all of your important photographic parameters — aperture, shutter speed, focus, ISO — without even turning the camera on. Topping it all off is a new, more matte finish that looks both modern and classic at the same time. Leica stripped away any sort of frivolities or distractions from the M10: it doesn’t shoot video of any sort, it can shoot a measly five frames per second (which is actually faster than its predecessor, but still slow by modern standards), and as you might expect, it doesn’t have any autofocus function. Its autoexposure system is also very limited and the metering system relies on methods that have been outdated for decades. But there are improvements here. The viewfinder is bigger and brighter, making it easier to focus than with older digital M models. The 24-megapixel full-frame sensor is far more capable than before, especially in low light. The menu system, when you have to use it, has been cleaned up and is easier to navigate. And if you feel like cheating on the ideals of shooting a rangefinder, the live-view system has improved focus peaking. The M10 also has built-in Wi-Fi to move images to your phone or tablet for sharing. Because the M10 maintains the essence of Leica better than any prior version and shooting with a Leica is unlike shooting with any other camera. 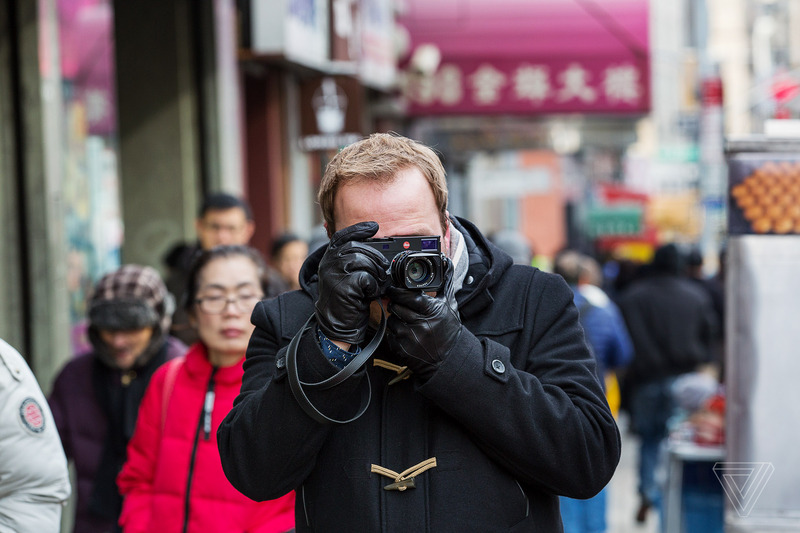 The M10’s relatively compact size and short lens make it easy to take wherever you go (or wherever you feel comfortable using a $10,000 camera kit), and its nearly silent shutter system means you can snap away without disturbing your subject. The brass and magnesium body means the M10 is built like a tank, so it can perform in harsh conditions without missing a frame. Shooting with a Leica makes you slow down and think about each frame, because it’s going to take you a while to capture a good image. 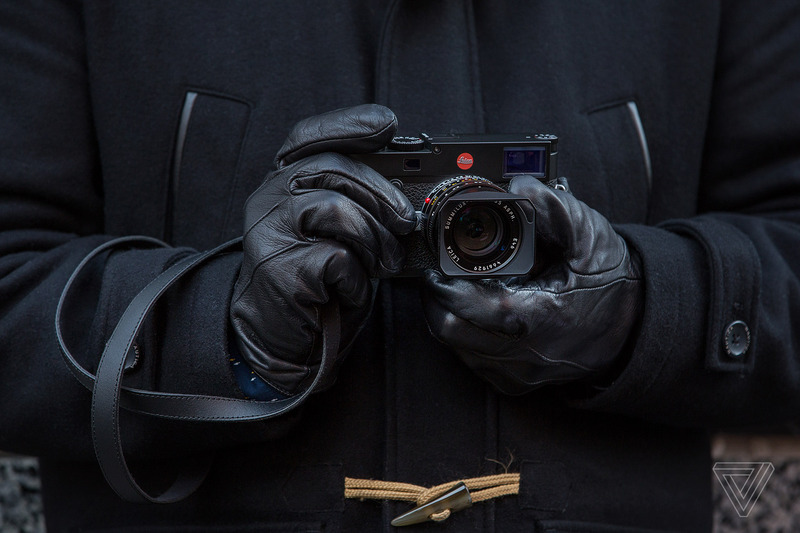 These are all reasons why film Leicas were the cameras of choice for street photographers and photojournalists for decades. And the images captured by the M10 are almost surreal and completely different than you might be used to. The M10’s full-frame sensor combined with Leica’s exceptionally bright lenses make for shallow depths of field that are just hard to replicate with other equipment. The 35mm f/1.4 Summilux lens I used with the M10 provides a lovely vignette when shot wide open, and the out-of-focus areas in its images are lusciously smooth. The M10’s greater low light capabilities make nighttime and indoor shooting more fun, and give me more flexibility with shutter speeds and apertures than the older digital M cameras. The greater dynamic range helps make up for the difficult metering system, and the faster continuous shooting at least lets me rattle off a few shots before my two year old has completely moved out of frame. Even the in-camera monochrome mode provides impressively contrasty and detailed black and white images, without requiring me to process images on my computer. It’s worth noting that as much as I like the images I captured with the M10 and enjoyed using it, it is definitely not the right camera for my needs (or budget). Most of the pictures I need to take for work require fast autofocus and flexibility, and the images I capture in my personal life are all of my kids, which aren’t too keen on standing still for 30 seconds while I try to lock focus. Chances are the M10 isn’t the right camera for you either for similar or other reasons. But if you have an opportunity to shoot with a Leica, M10 or otherwise, I suggest you take it. It’s a unique experience that provides unique results, even if it isn’t the highest performing camera on the market. Art is definitely a subjective topic, but in the case of the M10, the art is as much in the experience of using the camera as it is in the images it produces.